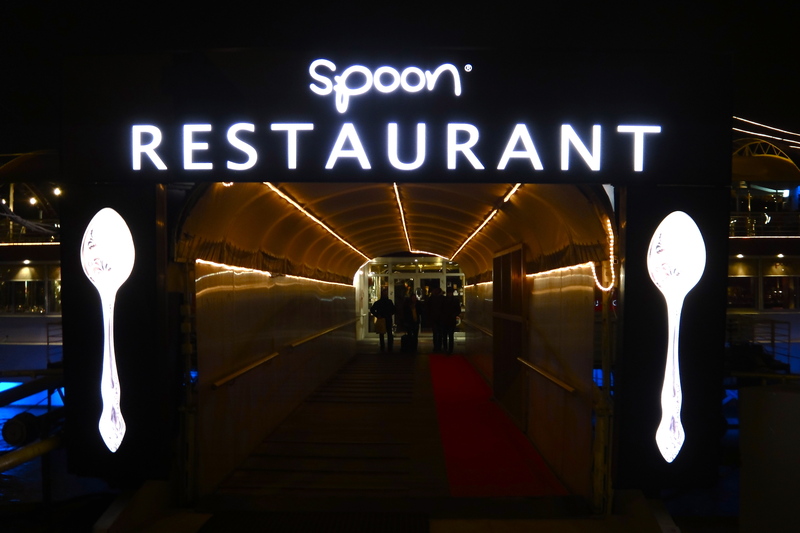 We wanted our last dinner in Budapest to be really special, so we opted for a highly recommended restaurant called Spoon. 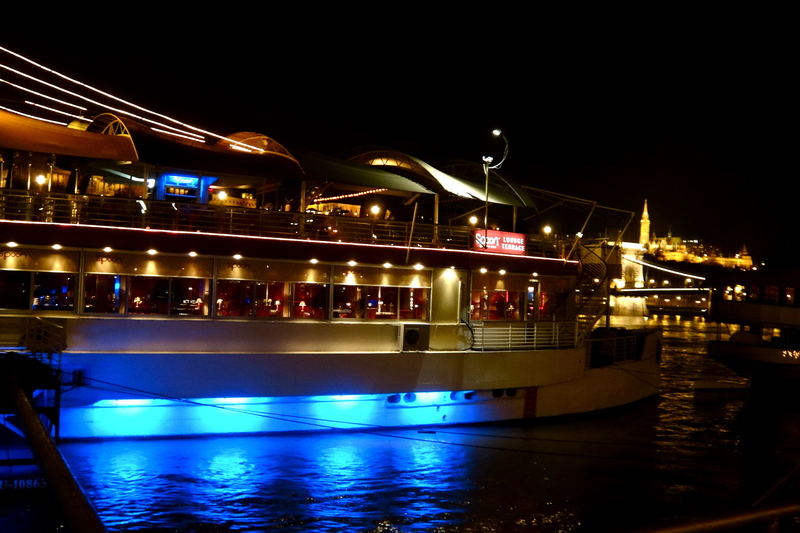 Spoon is a boat restaurant resting on the Danube River, along the Pest side of the city, with great views of Castle Hill. The service was phenomenal! 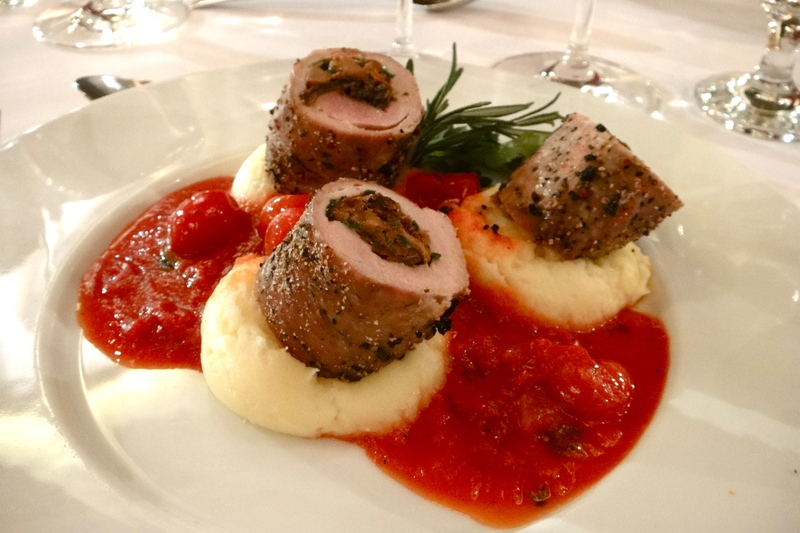 The staff was super friendly and had great recommendations regarding the menu. They had a live piano player filling the room with live contemporary and jazz. Ankita even got an ottoman for her purse so that she didn’t have to leave it on the ground! 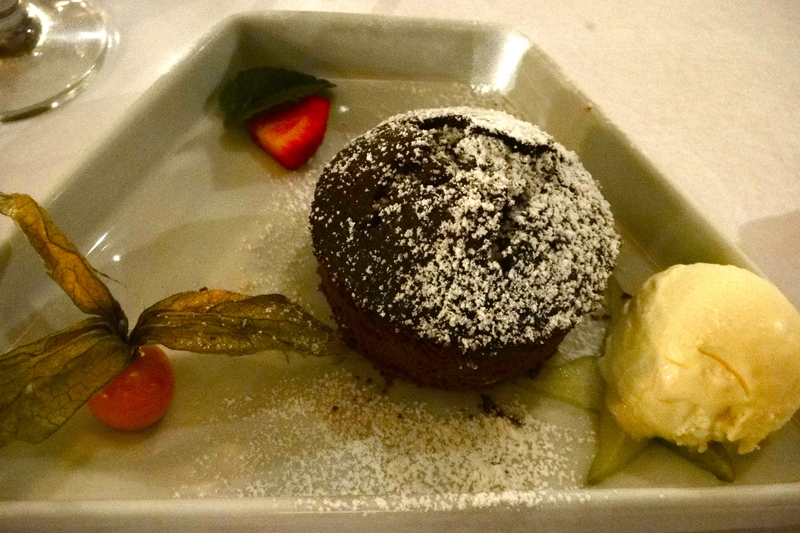 And of course, the food was incredible. View of Castle Hill from our table. 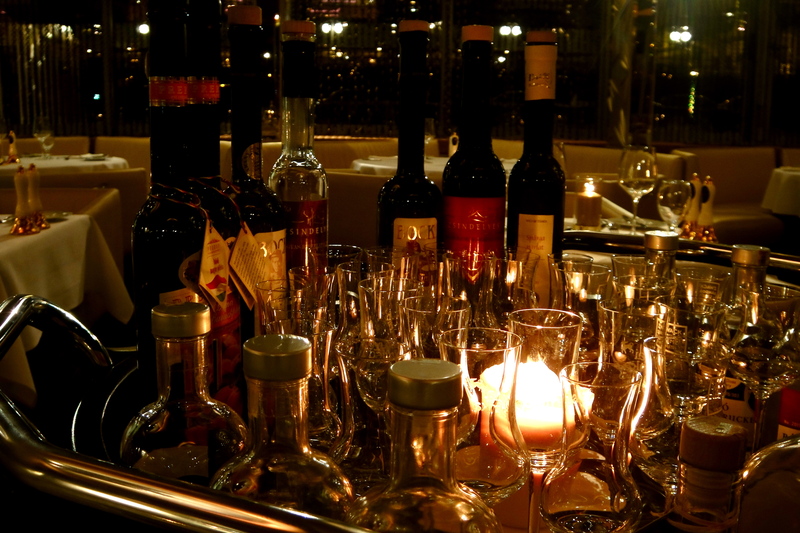 As soon as we sat down, we were greeted with a drink cart that had an extensive selection. We decided to start out with pálinkas. Pálinka is a traditional brandy in Hungary. It’s usually made from fruits or herbs, and the alcohol content ranges from 37.5% to 86%! 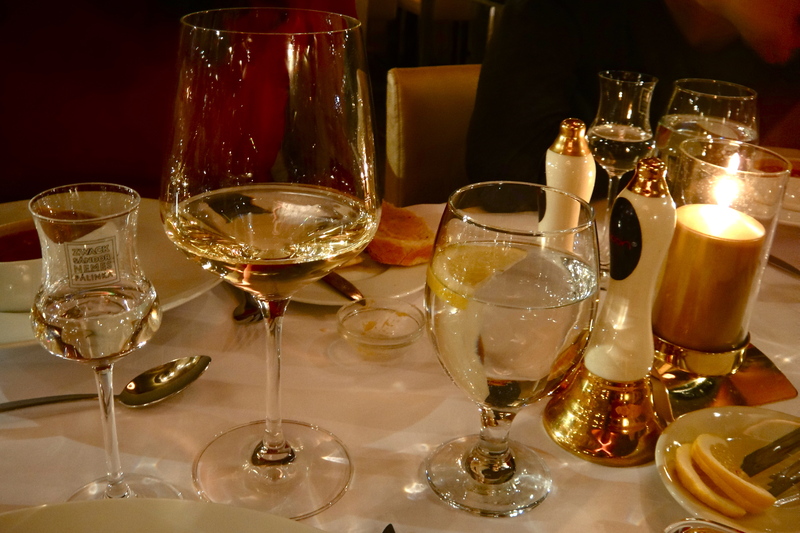 The waiter suggested the grape pálinka for us girls, while Will was recommended the quince, or the “man’s” pálinka. It was super, super strong. I could only sip it bit by bit, and in the end I couldn’t finish it so I gave it to Ankita (a.k.a. “Tankita”). 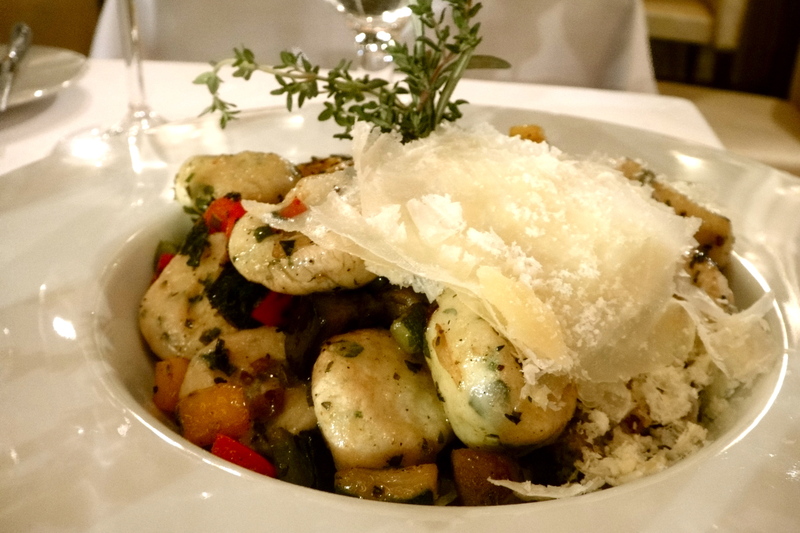 Gnocchi and sage, simmered in olive oil and topped with fresh parmesan. 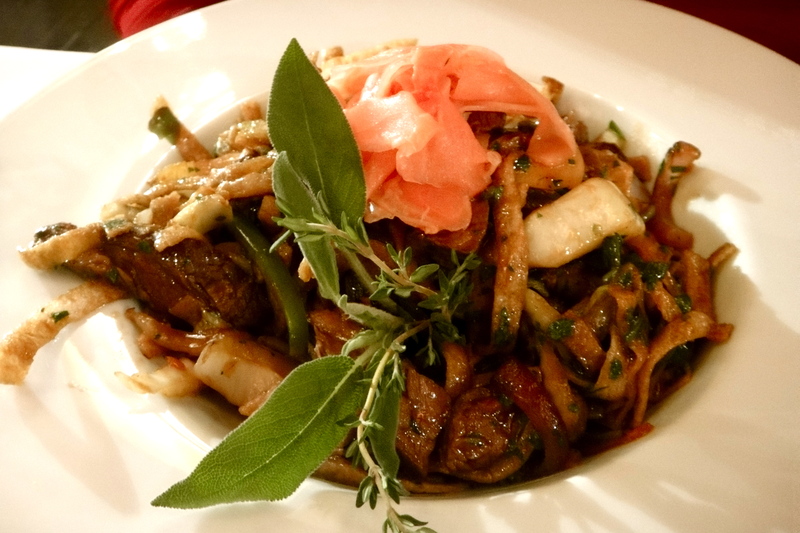 Roasted rice noodles with garlic oyster sauce, fried vegetables and tenderloin strips. 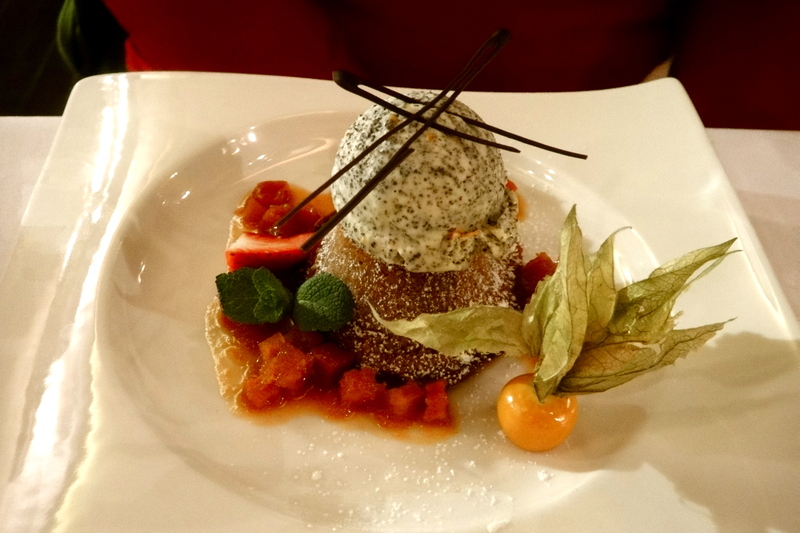 Poppy seed ice cream on top of flourless squash cake. Overall, I highly recommend Spoon. 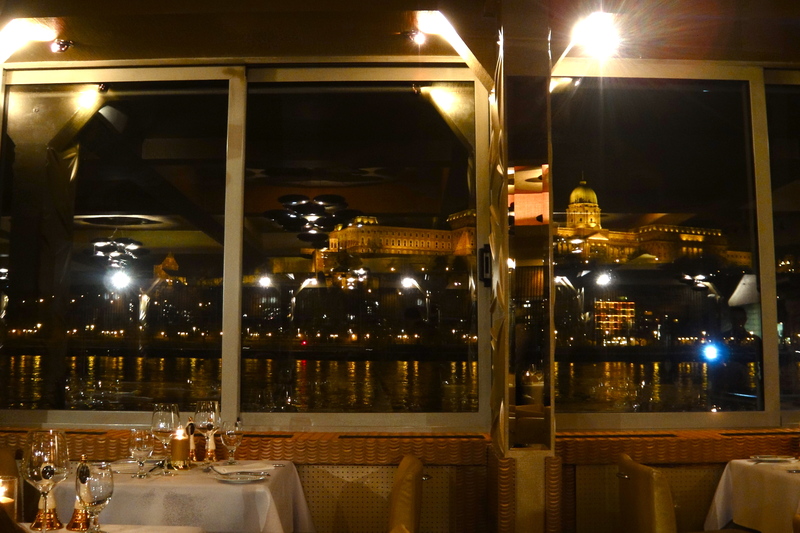 Not only was the ambiance amazing thanks to the views and staff, but the price was super affordable (thanks, exchange rate!). 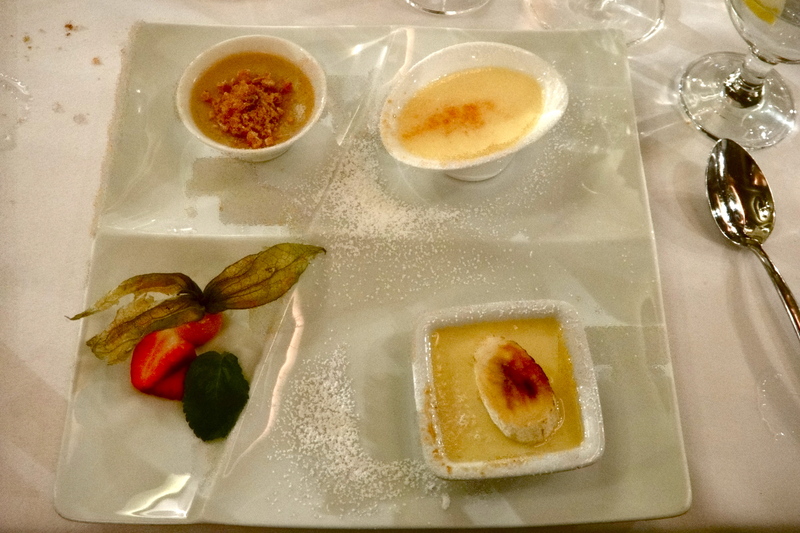 For an appetizer, main course, dessert, and two drinks (wine and pálinka), we only paid about 40€ each. Amazing!